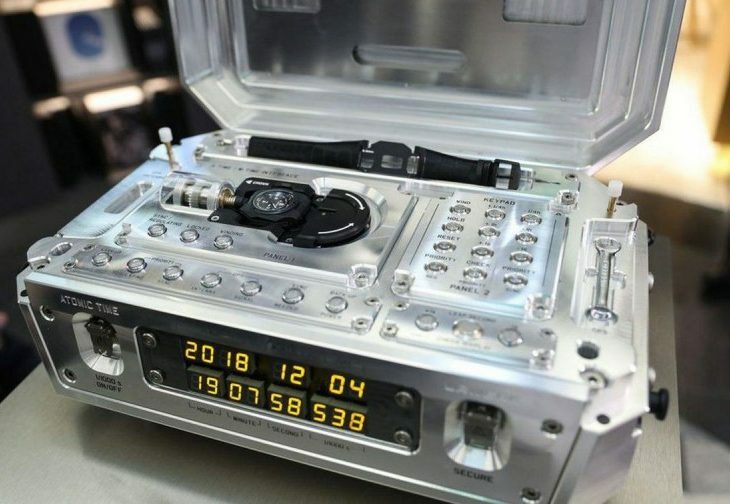 Swiss watchmaker Urwerk recently introduced its limited edition atomic clock. The Urwerk AMC has been in development for nearly a decade, and takes inspiration from Breguet’s ‘sympathetique’ watch/clock combination invention of the turn of the 19th century. The Urwerk AMC uses a solid 55-pound block of aluminum for a foundation, and winds and adjusts the watch when it is in place within. Without getting too technical, atomic clocks calculate time by measuring the microwave signal issued by the electrons in atoms. These clocks are incredibly accurate and used worldwide since they are able to measure the actual length of a second. The Urwerk AMC owners can rely on the larger atomic clock to mechanically wind the wristwatch for the utmost accuracy. Wearers simply connect their watch to the AMC’s cradle to see the complex mechanisms begin to wind and balance the watch. 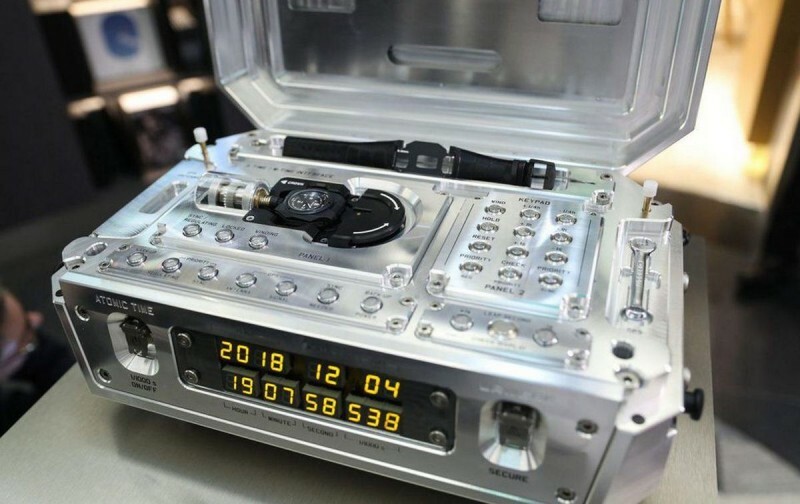 Urwerk plans to release just three of these intricate atomic clocks over the next two years. The price tag is $2.7 million.